With the advancement of technology, we have seen tremendous changes in different walks of life. Thus the OS also keeps changing itself to upgrade with the challenging situation. A feature called the Remote Desktop connection is something that has taken place in the current version of the OS. 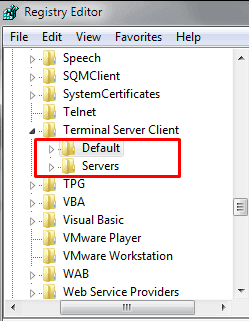 This particular utility in discussion actually stores the names of all the PCs which you use for the connection purpose. This eases the problem of connecting your device to various other PC as per the demand. But the only problem you encounter is that you cannot delete the names of the PC.